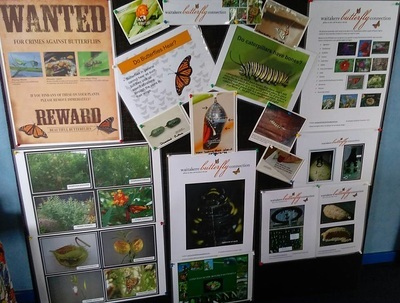 Our little Butterfly Group came together March, to plant out dozens of pots with Swan Plant seedlings for EcoDay 2015 (Sunday 12 April 2015). 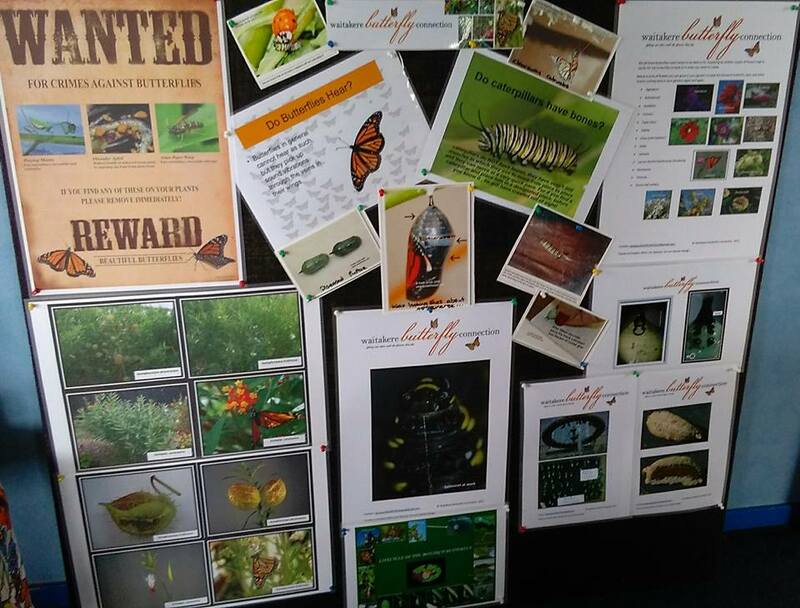 The idea was to spread the word to the public about growing Swan Plants for Monarch Butterflies. 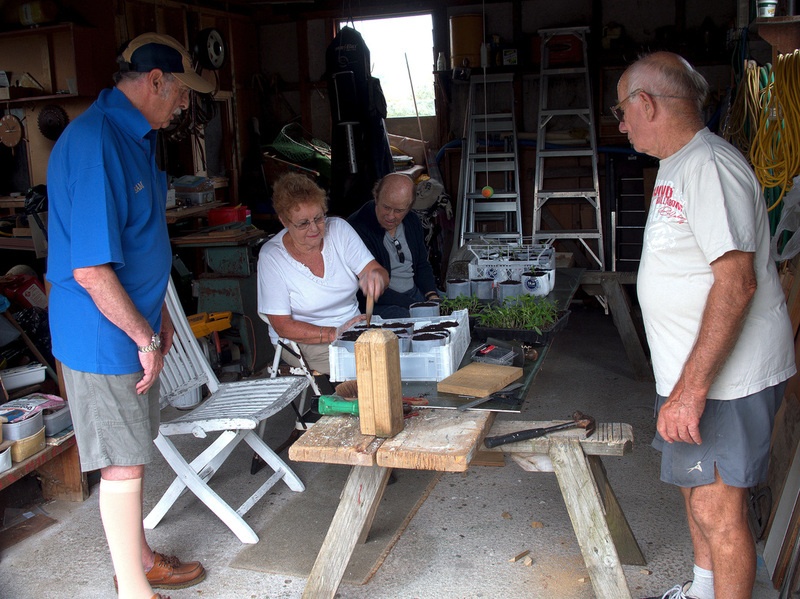 The 'pots' were empty milk bottles with their tops cut off, kindly donated by Starbucks, New Lynn, Auckland. 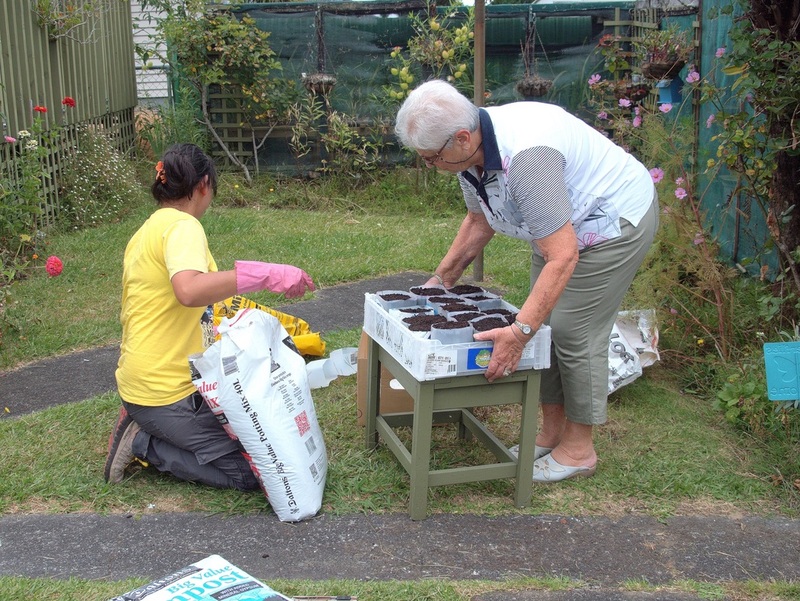 Bags of potting mix and compost were kindly donated by The Warehouse, New Lynn, Auckland. 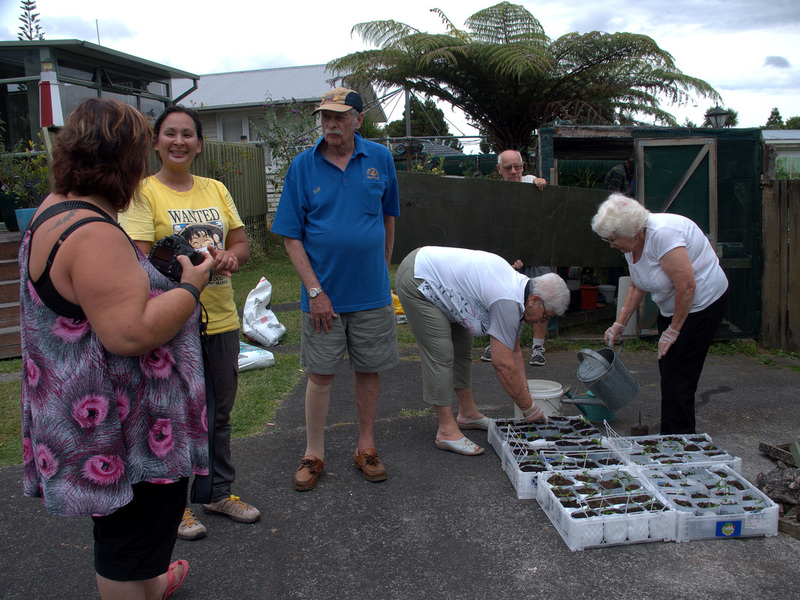 We also each donated bags of potting mix and compost, and of course we did all the work. 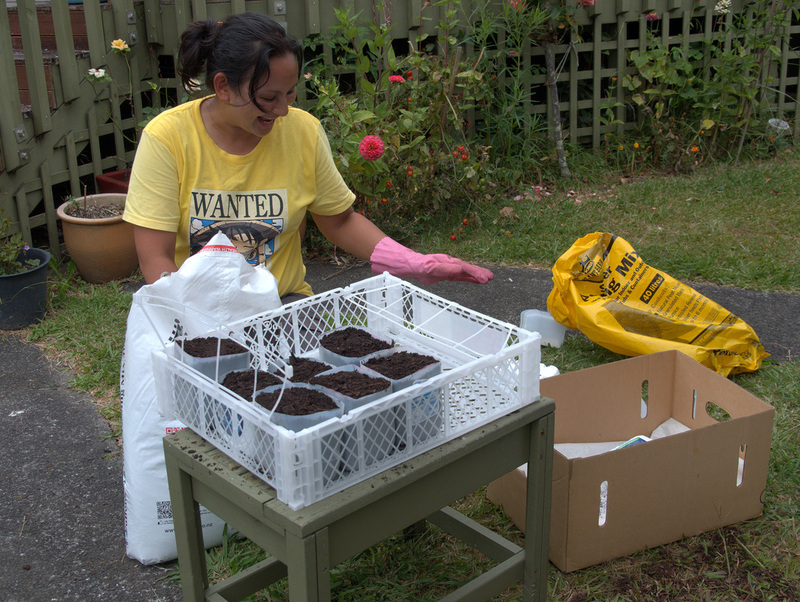 Filling the pots with soil. 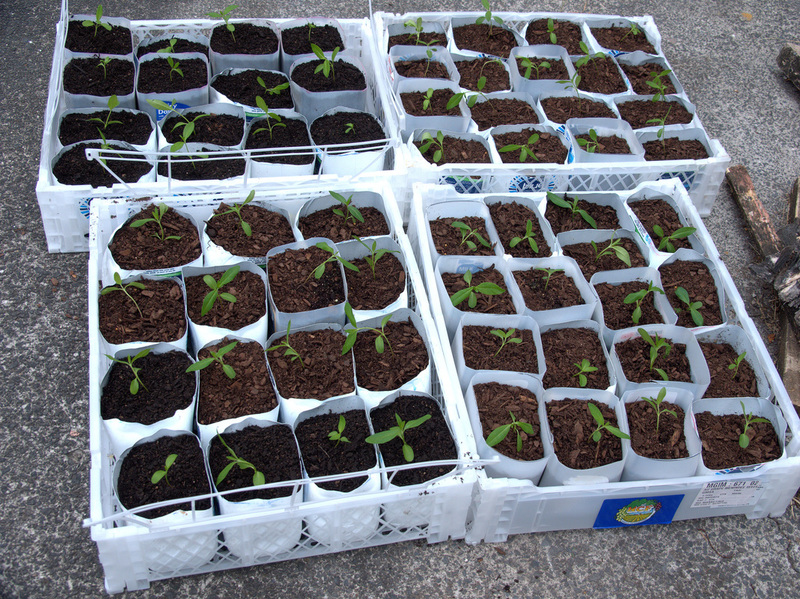 Filled pots being taken to have the seedlings planted. 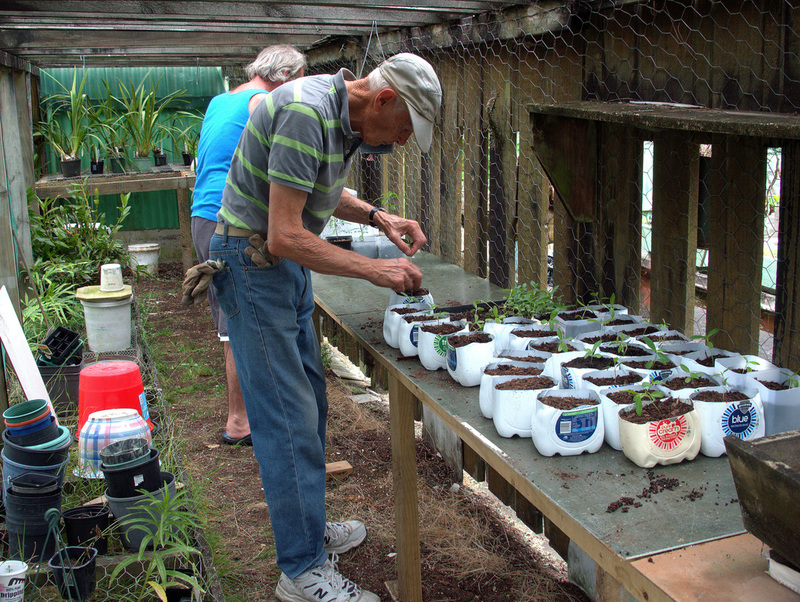 Swan plant seedlings being planted into the filled pots. 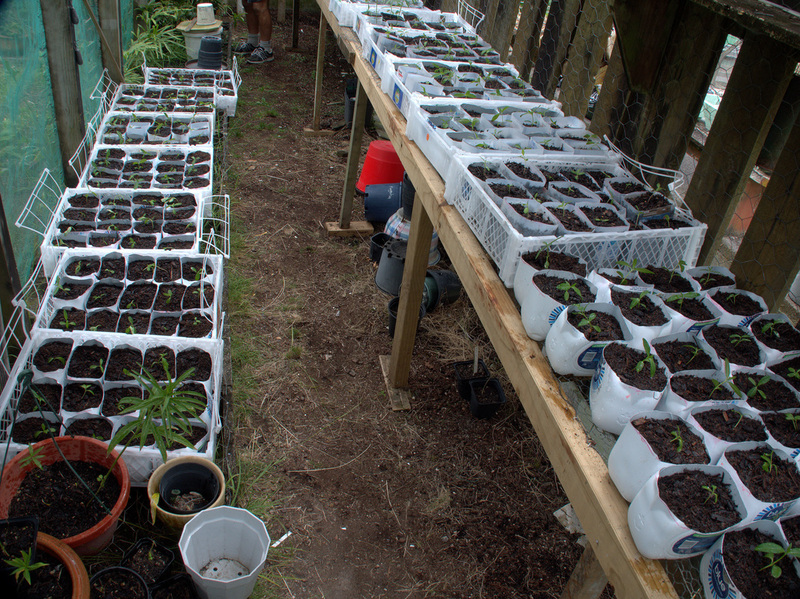 Laying out the seedling pots in the shade house. 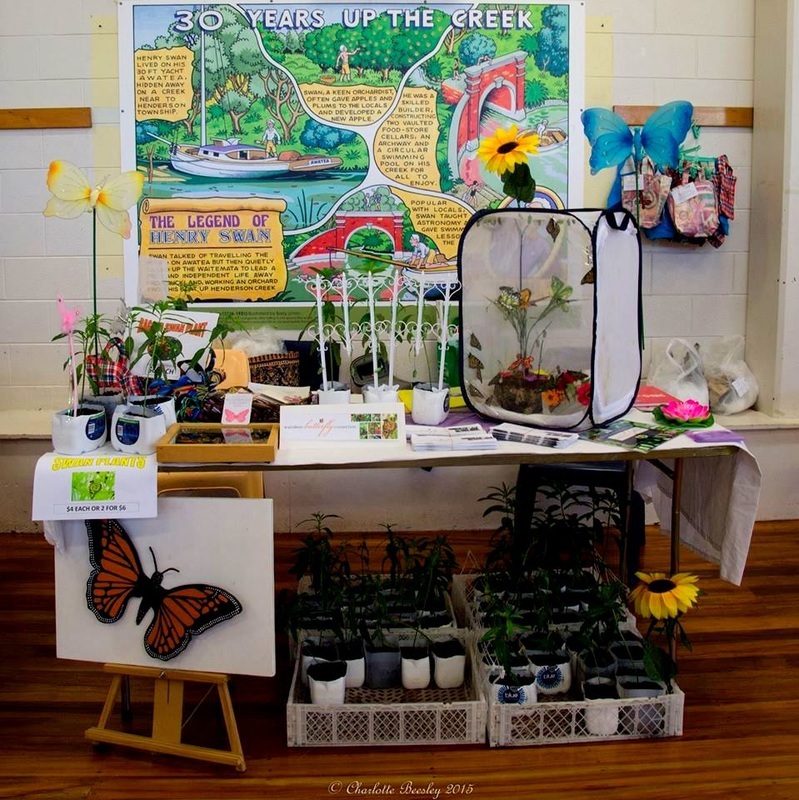 The finished pots ready for EcoDay. 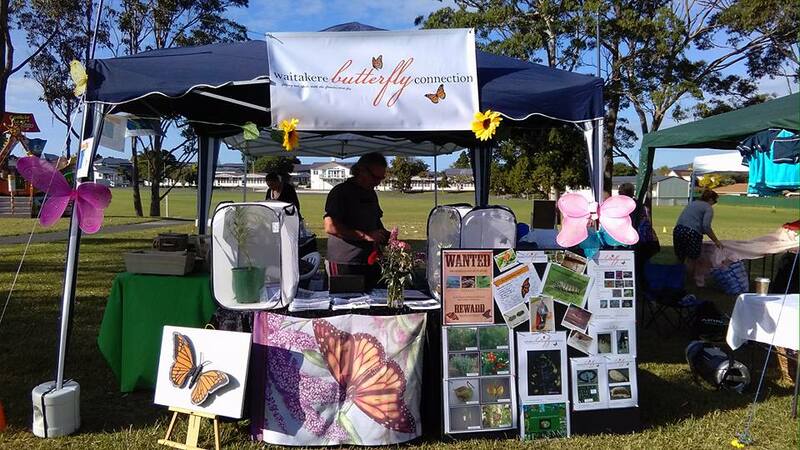 The stall at EcoDay. Photograph taken by Charlotte Beasley. 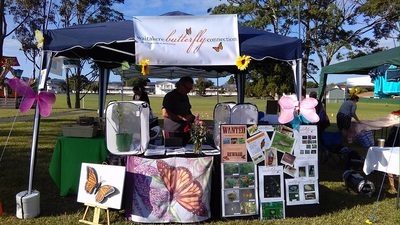 Stand at "Heart of Te Atatu South"
Our Butterfly Group took a stand at HEART OF TE ATATU SOUTH as a way of encouraging people to learn more about Monarchs and to plant their gardens with lots of swan plants and other flowers that the Monarch butterflies love.